. . . you play your guitar for Jesus. Jonah Backus and the Conquerors played for morning chapel this semester. 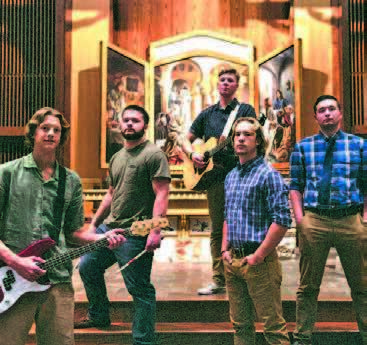 They are the newest of many vocal and instrumental ensembles who use their musical gifts to beautify MLC worship. https://mlc-wels.edu/admissions/wp-content/uploads/sites/23/2018/08/Conquerors.jpg 345 367 Leah Matzke https://mlc-wels.edu/wp-content/themes/mlc/images/mlc-logo.png Leah Matzke2018-08-28 19:30:302018-08-28 21:02:58. . . you play your guitar for Jesus.
. . . you travel 2,000 miles to tell little kids Jesus is their hero.